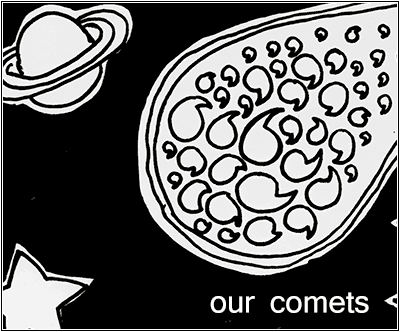 It's called Our Comets and it's a very educational. To read just Clicky-click. That was the error I got first time I tried to post a comment. I thought I would get the same error the second time, but mysteriously no. Anyway, very educational and beautifully illustrated. We need more funding for our schools, so that they can afford to buy every child a hardcover copy of this comic. Sorry, there has been a bug with the comment system for quite some time that occurs randomly (there are randomized countermeasures in the form code to try to elude spambots). I fixed two things that might have been causing it. Let me know if you see it again! I likes a comic that educates me so delightfully.